There is no best hostel in Bucharest. Don’t trust the marketing tricks. 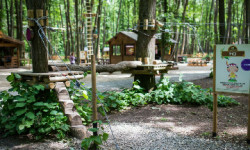 But of course, you can find the best hostel choice for YOUR stay in Bucharest. People are different, so are accommodations. The best way to find the perfect fit is to be informed, which is quite difficult, as advertising sometimes goes beyond trust. You can read the hostel’s tourist reviews, but reviews are sometimes part of the hostel advertising campaign. And there are also people like you, traveling and rating the hostels. But can you trust their choices? I mean, they are entitled to have their opinion, but their interests may be different than yours. That’s why we tried to make this work for you with this Bucharest hostels guide.So if you plan a trip to visit Bucharest, you will find it useful. 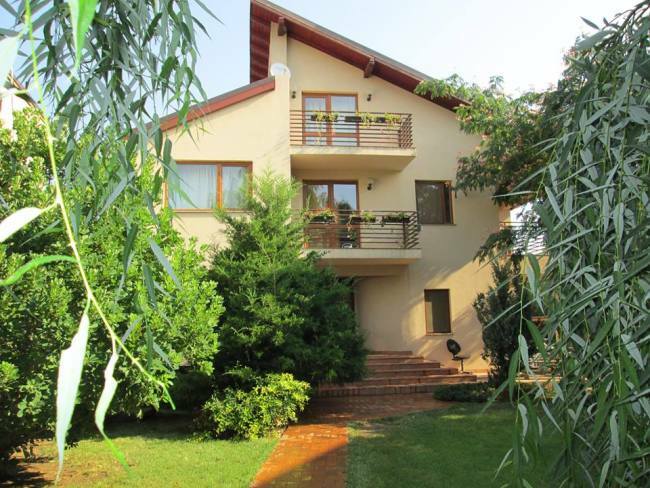 Best price for best accommodation conditions, that is what most of the tourists are looking for when travel to Bucharest. Downtown Bucharest location? Well, this is important too. Being close to the fun, to all the bars, club and discos, as well as to the most significant cultural sites, if your visit is more like cultural, aiming to discover Bucharest city’s museums, monuments, art galleries. Some tourists will find a quiet hostel a better choice. Not all of us are party animals! Read our Bucharest hostel guide and choose your hostel based on your type of Bucharest trip. Then you may consider a hostel in the close proximity of the city centre, where the fun is (most of the night bars and clubs are situated in the Old City Centre (Old Town) also known as the Historical Centre. Most of them, but not all of them. 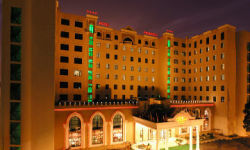 There are bars and clubs near this Old City Centre, generally within 5-10 minutes walking distance. They are usually more like alternative music clubs, rock or electro. Posh centre is located in the central- northern Bucharest, in the areas Floreasca - Calea Dorobanti, with clubs and café-bars where everything is usually much more expensive. 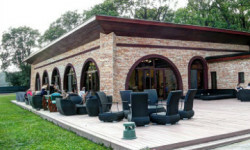 There is also the student campus, in Western Bucharest, where most of Bucharest student dorms are, with students hanging around the bars, pubs and clubs in the campus. This area of Bucharest is called Regie – Grozavesti. Cheap booze, very young crowd. Some of the hostels have their own pubs or clubs, which are also sometimes frequented by locals. The best choice would be the Wonderland Hostel, which has the Underworld Club, a bar and club with punk rock music, where usually underground concerts are taking place. 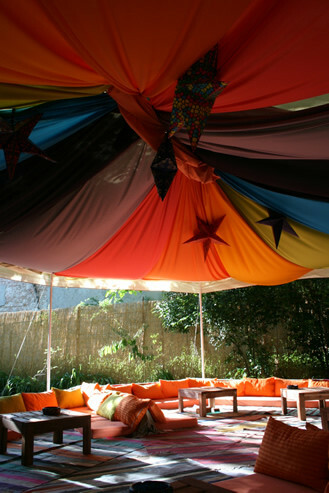 The X Hostel also has the X Pub, where themed parties are frequently organized by the owners. If you decided for the Bucharest’s Old City Centre, you may want to check these hostels as they are in the close proximity (green square on the map represents the close proximity to the Old City Centre): Little Bucharest Hostel, Antique Hostel, X Hostel, Wonderland or East Hostel. 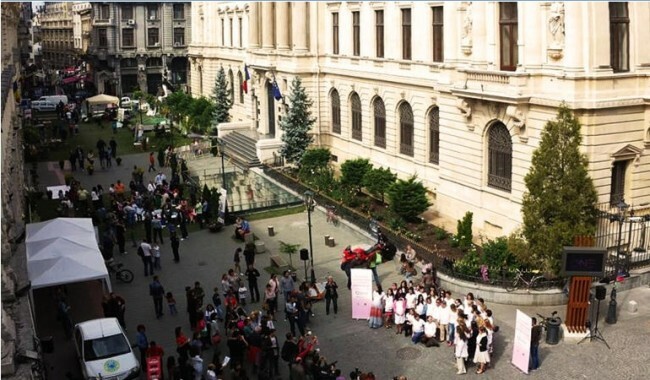 The Old City Centre of Bucharest is situated between two large central squares – Universitate and Unirii. 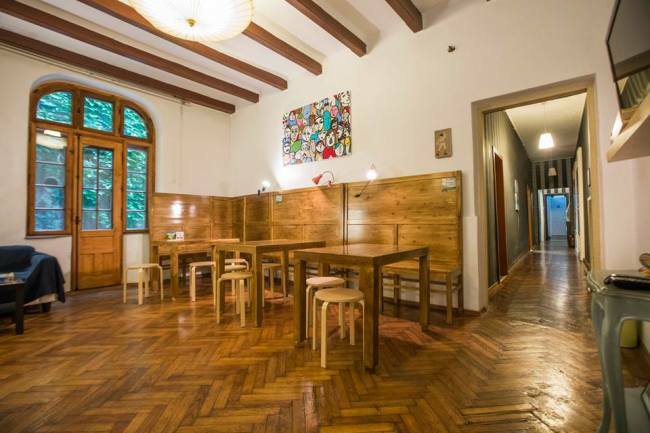 You will also find lots of interesting bars and clubs between Universitate and Romana Sq., so you may also consider The Midland Youth Hostel and Umbrella Hostel which are located near Romana Sq. Also check the hostels in the neighbourhood, but not closest proximity of the Old City Centre: Holiday Hostel, Doors Hotel, Swallows and The Cozyness Downtown Hostel. Floreasca - As the posh centre of Bucharest, Floreasca-Dorobanti area (blue on the map) is expensive. However, if you aim for getting there and still save a few cash instead of booking a hotel, Floreasca Hostel will get you closer to the area. Still, some posh clubs may not be at a walking distance, but then you’ll pay less for the cab. Regie - Friends Hostel is the closest to the students’ area (you will find it on the map in yellow); you can also consider Oblik Hostel and Funky Chicken Hostel which are situated in the western part of the city centre. There are several hostels in beautiful old buildings in downtown walking area of Bucharest (purple area on map), more or less re-designed to fit and match the new destination, such as Puzzle, Green Frog, Explorers and Midland Hostel, but we strongly recommend you the Umbrella Hostel, which will surely impress you with its quality design and artistic elements, good use of materials and great sense of the space. The most well-known venues in Bucharest for organizing big sport events and concerts are the National Arena, Arenele Romane, Romexpo, Revolutiei Sq. and Constitutiei Sq. There are some venues such as B’est Fest Park and Stirbei Palace, hosting important music festivals, but they are located outside the city, the organizers providing transportation during the festival, with pick-ups in the central-northern Bucharest. If you are looking for a hostel in the proximity of the National Arena, you may find Peaches Hostel a very attractive place to stay. The Cozyness Downtown Hostel and Doors Hostel are the closest to Arenele Romane, a well-known concert venue in Carol Park. Revolutiei Sq. 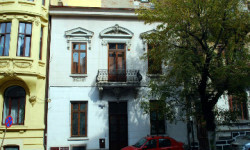 is situated in downtown Bucharest, so any central hostel is a good choice, while for the Constitutiei Square, which is situated on the eastern side of The Palace of Parliament (Casa Poporului), you may consider the following hostels: Antique, Doors, Little Bucharest or The Cozyness Downtown Hostel. If you are a sport lover and the weather is fine during your trip to Bucharest, a bike tour could be a good idea. Some of the hostels offer bicycle rentals, such as The Cozyness Downtown, Peaches, Explorers Hostel. If your Bucharest journey is planned during late spring to early autumn, then you might consider a hostel with a terrace or garden. There are many beautiful private gardens in the central part of Bucharest, some of the properties are now hostels and you can find a quiet corner to rest after exploring the city, read a book, drink a night cup, play a board game or, why not, have a barbecue with Romanian style “mici”! We strongly recommend you Doors Hostel, which has the largest hostel garden and also a beautiful teahouse (Ceainaria Cinci). Swallows’ Hostel is also a good choice, they also have a large garden with lots of cozy places for you to enjoy. You may also consider some other hostels with private terraces, such as Umbrella Hostel, Friends Hostel, Holiday Hostel, Green Frog, Puzzle Hostel and Peaches Hostel. 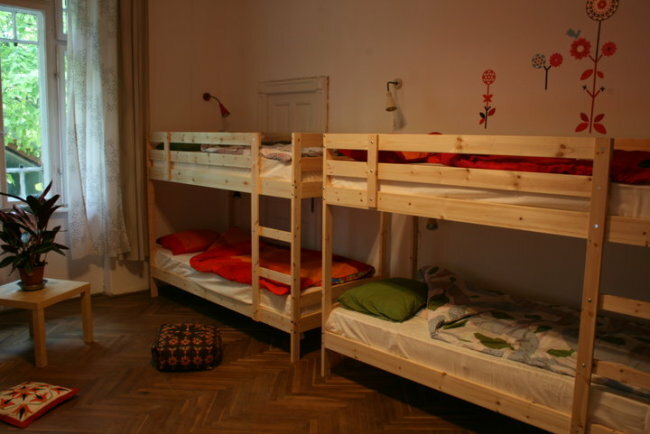 If you are looking for a private room, most of the hostels in Bucharest are offering two beds accommodations, with private or shared bathroom, ranging from EUR 13 to EUR 25 per bed. Then probably you are only staying for a night or two and should be a good idea to find a hostel in the proximity of the railway station. The main Bucharest railway station is centrally located, so don’t worry, you will also have easy access to the main attractions of the city, within 10-20 minutes walking distance. The closest hostels to the Bucharest North Railway Station (the main railway station called Gara de Nord) are Oblik The Railway Hostel, Puzzle Hostel, Friends Hostel, Explorers, Green Frog and The Funky Chicken Hostel. If you are a backpacker, you may consider that hostel beds prices per night starts in Bucharest from 7 -8 euro, but you have to pay attention if additional costs are added, such as for linen, blankets, luggage lockers, towels. The hostels have their own kitchen, free to use, so you will find convenient to prepare your meals. Some of the hostels have breakfast included in price, or free tea and coffee. A very central hostel would be a good idea for you, as not to spend additional money for transportation. Check the hostels in the purple zone. We hope our guide helped you with this difficult task of selecting the most appropriate hostel for your stay in Bucharest! Looking forward to seeing you in Bucharest, meanwile take a look at the secret spots the locals recommends you by selecting your lifestyle, age and even profession in order to receive the Bucharest guide shared by people like you! Lots of clubs, bars, cafes and cultural destinations are waiting for you! Have a nice trip to Bucharest! X Hostel- Bucharest’s Party Hostel!